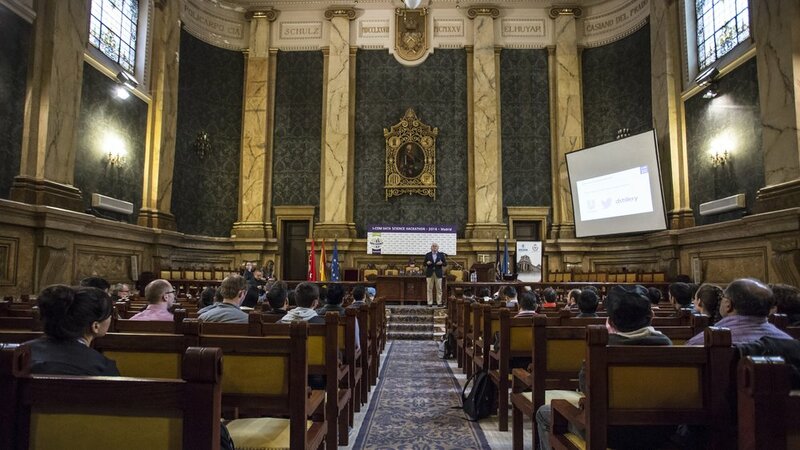 Building on the success of the first I-COM Data Science Hackathon in San Sebastian in 2015, the 2nd edition of the Hackathon took place in April 2016 in Madrid, Spain. It was not only an extremely valuable experience on the business side for our Sponsors, but also an indication of the continued rising importance of Data Science in the Marketing industry. Our 2016 competition sponsored by Unilever and Twitter demonstrated how global businesses can effectively embrace the power of data science by challenging the teams to find a methodology that could be used to predict the next relevant trends in hair care using Twitter data. Twitter as a co-sponsor provided the data for their client, Unilever, and actively participated in crafting the challenge and tweaked the data set. This highlights just how companies come together to create a valuable and mutually rewarding sponsorship. With the I-COM Data Science Hackathon being at the forefront of cutting edge marketing data solutions, the competition drew global teams from across the marketing value chain, as well as the best and the brightest from universities: Annalect (Omnicom), Integral Ad Science, Merkle (Dentsu Aegis), Mindshare (WPP GroupM), MediaCom (WPP GroupM), Oracle, RadiumOne, Starcom Adobe, Turner Broadcasting, Xaxis (WPP GroupM) and the Universities of IE Business School & UC3M (Universidad Carlos III. de Madrid). For the Winners from the previous Data Science Hackathon editions, visit the Hall of Fame. 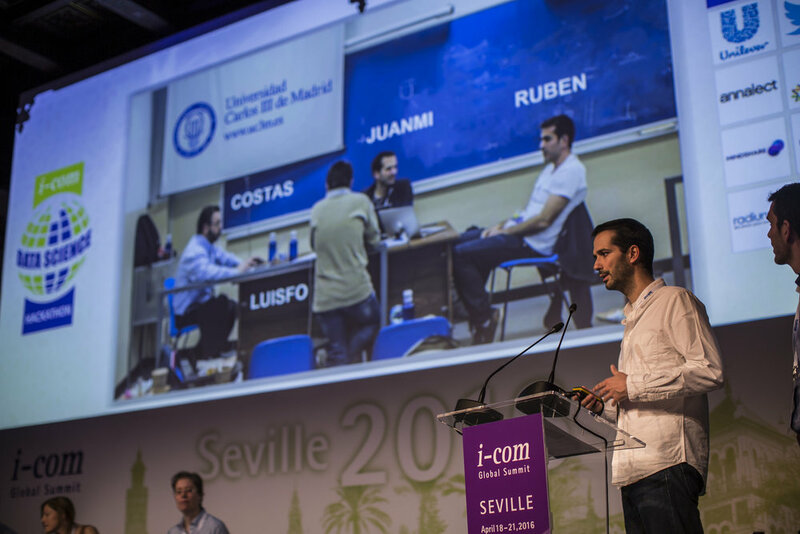 See presentations from the finalists presenting at I-COM Global Summit 2016 for the final round of judging. 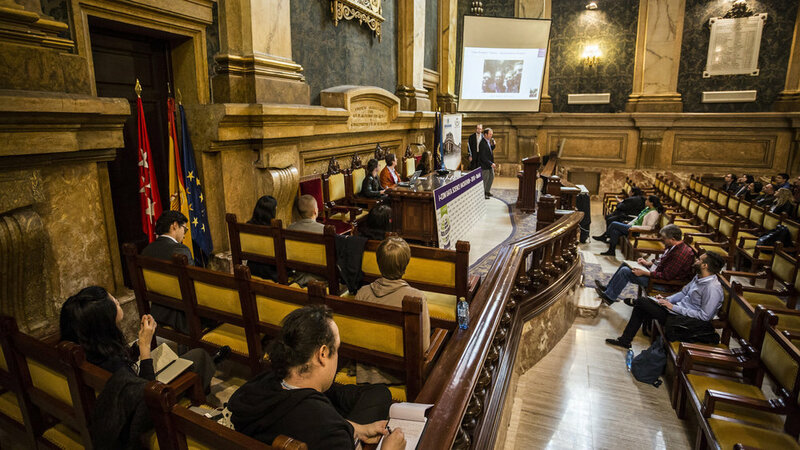 See the video from the I-COM Data Science Hackathon in Madrid, Spain, 2016.